They will Customize a bag the way you want from large to small with many types of fabric to chose from. Chose from heavy duty zippers, draw string or buckles. They can line the duffel bag with foam rubber and or fleece to protect those delicate items or a canvas bag to handle those heavy items you need to carry. No minimums. Gill or Linda can Manufacture a bag to fit your needs. 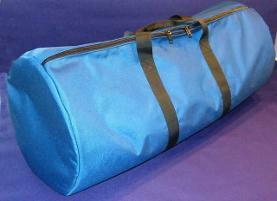 Create your own duffel bag. All Bags seams are Double sewn and made with YKK zippers. Here at the Creative Canvas Shop we manufacture custom bags made to fit your needs. With many fabrics to chose from we can make a bag to your specification. All work is double checked before shipped and our employees all take pride in there work to ensure customer satisfaction. 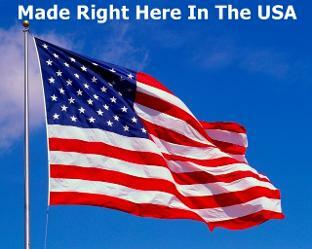 Custom made Canvas Bags Made In The USA. 1000 Denier Textured Nylon is a heavy duty Nylon fabric, finished with a clear polyurethane back coating and durable water repellant finish. 1000 Denier Nylon is a cost effective nylon fabric alternative for a variety of applications. Many types of luggage, sport and duffel bags, backpacks, briefcases, wallets, chairs, horse blankets, elevated pet beds, and various cases and covers are all manufactured from our tough 1000 Denier Nylon fabric. 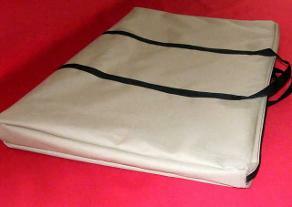 Balllistic Nylon fabric, which is known for strength and durability in rugged applications. Our 1050 Denier Ballistic Nylon is both a top-performing and our best-selling ballistic nylon fabric. We offer several choices in ballistic nylon that are all constructed with the signature basket weave and are available to meet the needs of your specific project. 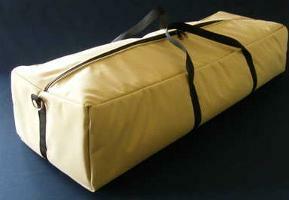 Design your own duffle bag. Have them make one to fit your needs.